Check it out on the right, I’m selling my own signature tea. Kohala Coast Sunset tea. I got a tin and although it has apricot and mango in the tea isn’t too fruity. I’ve found that once brewed this tea is excellent poured over ice for a refreshing iced-tea. This is good stuff. I’ll have to add a few photo of the tea myself. Actually I’m not ‘really’ selling this tea, Adagio is doing the selling, I just get credits for tins bought. Here’s what the container looks like for my tea, a really nice airtight container with a UV blocking clear lid. 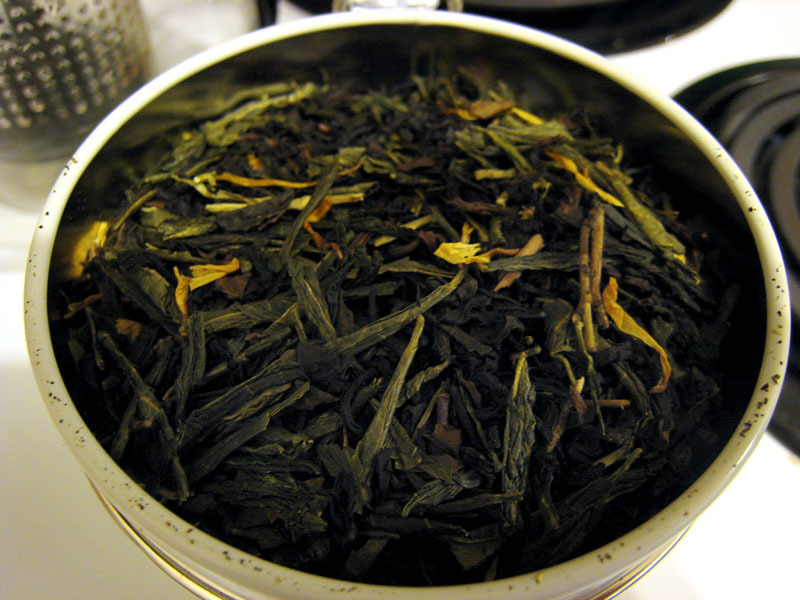 The tea is a blend of Apricot Green Tea, Mango Green Tea and Vanilla Oolong Tea. Here’s the ad to order the tea, but if you want to order email me first and I think I can send a $5 off certificate for orders. 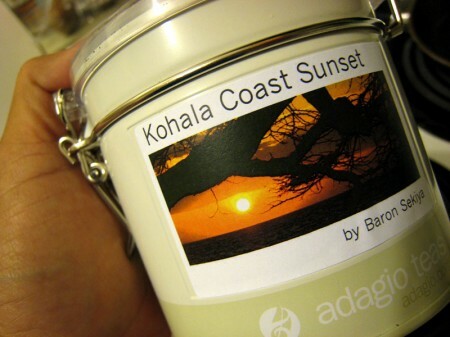 How can one purchase a tin of Kohala Coast Sunset tea? There's an ad on the right sidebar below the search box for the tea. I adjusted the mix a little so it has less Vanilla Oolong tea and more Mango.